For more than a decade, Movin’ On Up has offered career advice and job search help for job seekers of all ages. But the Movin’ On Up name doesn’t really fit our mission. We’re about so much more than climbing the corporate ladder. Not everyone wants to be a manager, vice-president, or CEO. And that’s okay. No matter what path your career takes, employment is a journey. 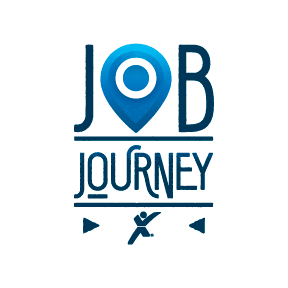 To build a brand that better aligns with the soul of our blog, we are rebranding to Job Journey in January 2019. The site will have a fresh look, and be easier to use. Getting a job isn’t a one-step process. There are several steps for job seekers, including revamping your resume, interviewing, receiving a job offer, and finally accepting the offer before your first day on the job. And that doesn’t even take into account everything that comes after. We want to celebrate every milestone of your “job journey,” so that’s what we’ll call ourselves. And what better way to celebrate this announcement than with a list of our greatest hits? Here are our top 10 blogs of all time. So, You Left a Toxic Work Culture—How Do You Explain that in an Interview? Thanks for reading! Do you have a favorite blog article? Let us know in the comments section below! Next Post Poll: Which Interview Questions Do You Need Help With?